MVRDV's design for the Chongwenmen shopping mall M-Cube in Beijing, China, is part of the Dutch Architecture & You exhibition. The exhibition is organized by the Embassey of the Netherlands in China as part of the Beijing Design week (BJDW). The main objective of Dutch Architecture & You exhibition is to showcase the transformative power of Dutch architecture in the city of Beijing. Ten firms with a realized project in Beijing were selected to participate. The unique quality of the exhibition was highlighted with each project: apart from displayed via a model, with minimal graphic images, while the main feature was a film showing the client or users of each project filmed within the project's physical space describing it's unique transformative qualities. 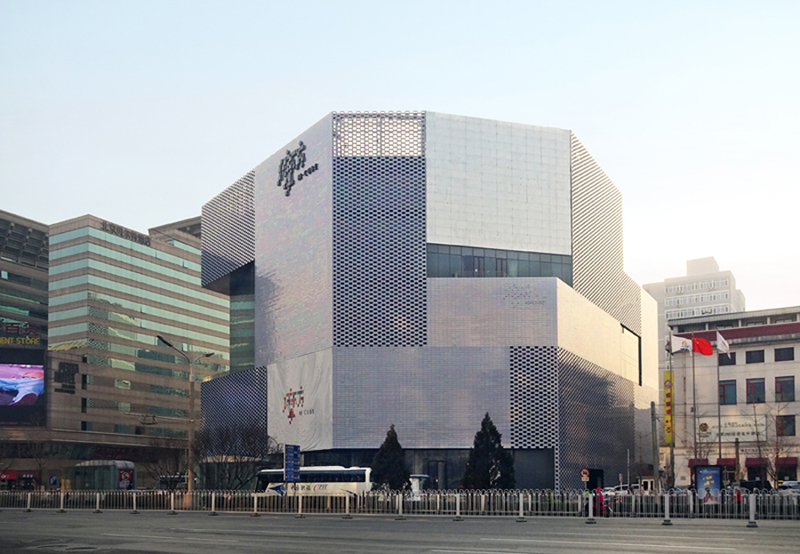 MVRDV’s shopping centre, the Chongwenmen M-Cube sits in the heart of Beijing. The 44,000 m2 project consists of a singular building that combines day-time shopping and vibrant night-life, acting as a major hub in the central district of Chongwenmen. MVRDV’s primary innovation in the construction of the project was in developing a pearlescent façade.